Have you ever just wanted to hug one of the chickens from the video game series, Minecraft? We tried hugging our computer screen while playing Minecraft, but it was rather unsatisfying. 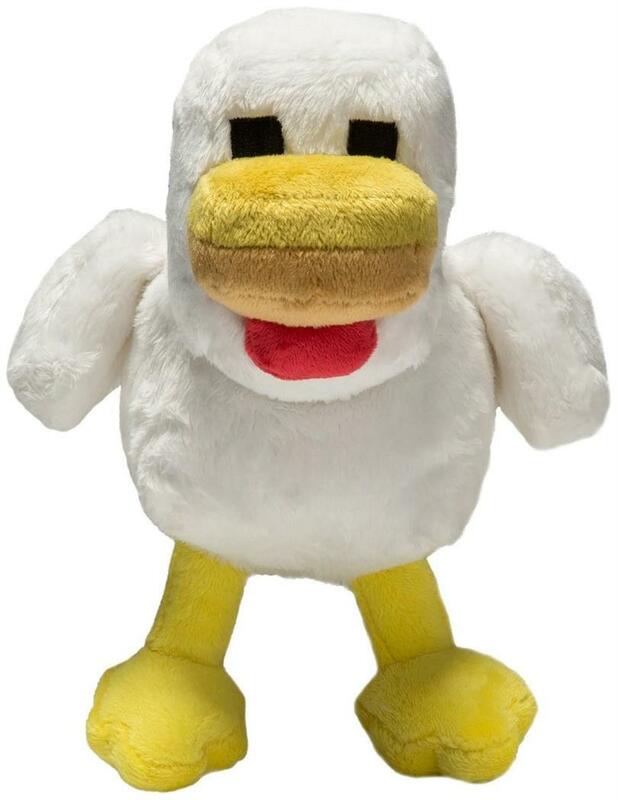 This Minecraft Chicken Plush gives a much more satisfying hug! Soft and huggable 100% polyester plush stands 7.5-inches tall. Officially-licensed Minecraft merchandise. Have you ever just wanted to hug one of the chickens from the video game series, Minecraft? We tried hugging our computer screen while playing Minecraft, but it was rather unsatisfying. This Minecraft Chicken Plush gives a much more satisfying hug! Soft and huggable 100% polyester plush.